With the new year just beginning, everyone has their resolutions and most people want to lose weight. Looks like Dwayne Wade has figured out how to get it done. 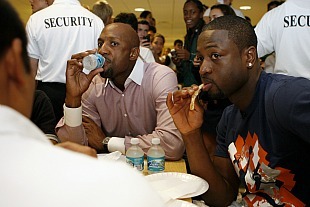 Apparently Wade eats chlorophyll. Yes, that stuff that helps plants grow, get energy from the sun and makes them green.